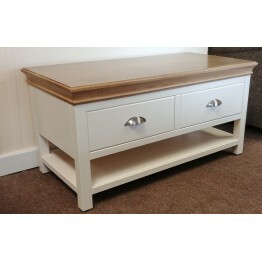 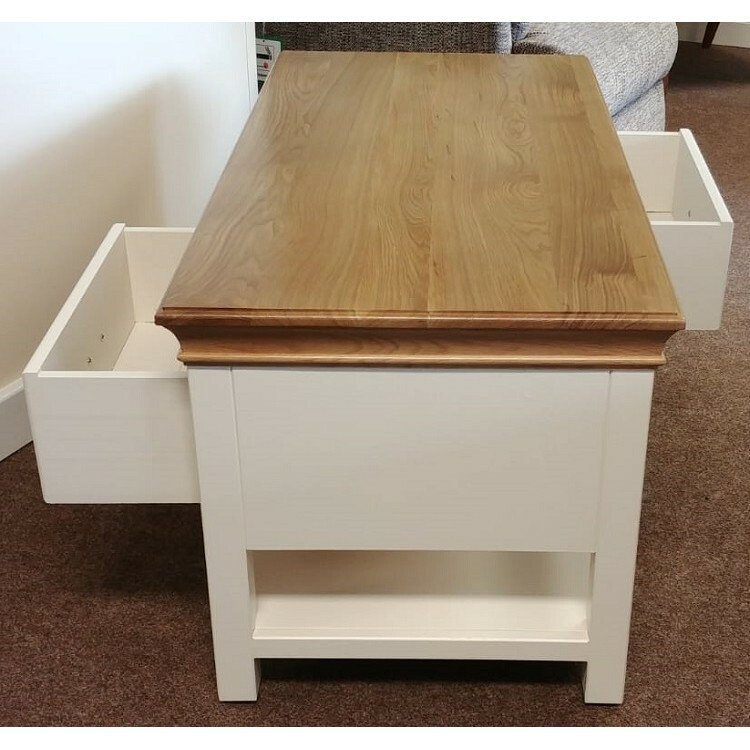 This is the Lundy range Coffee Table with 2 drawers from Devonshire Pine & Oak. 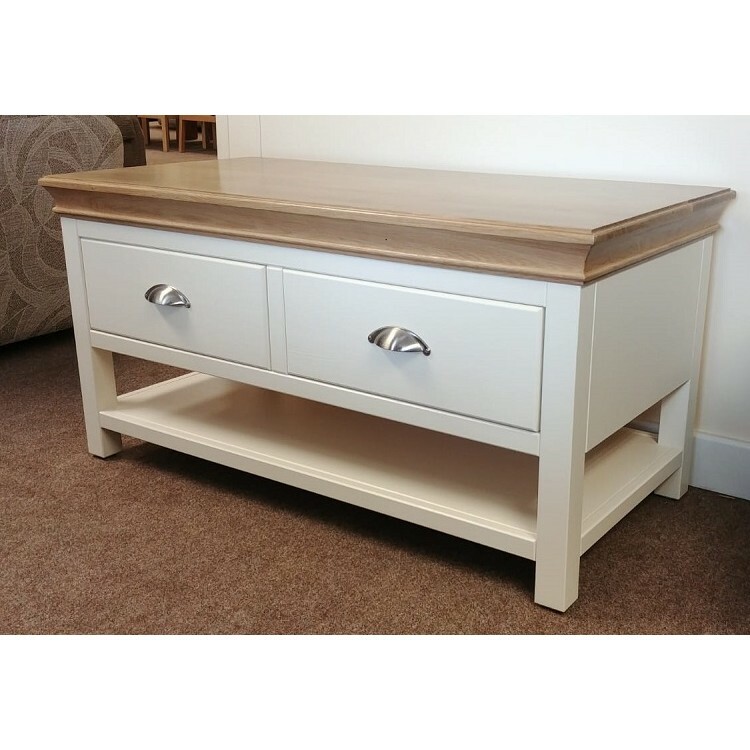 As you can see the drawers work from both sides and the painted colour is Ivory. 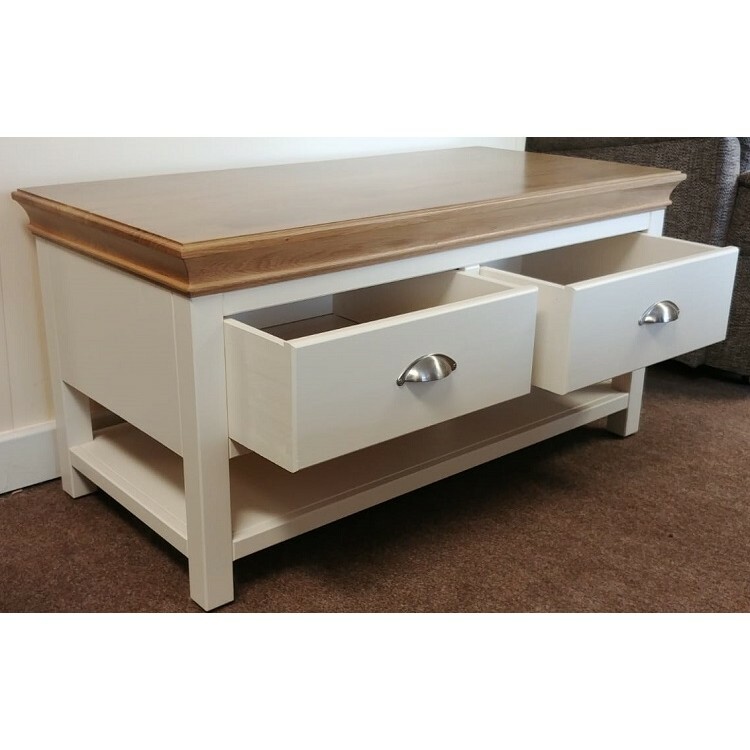 A very useful coffee table with a durable hard wearing finish for everyday use.